The days of wiring your new home for nothing more than electricity, TV, and phone lines are long gone. These days, it is become more common to install smart home systems into new homes. Since the term, “smart home” is not a legally protected term. It’s hard to define what one is. 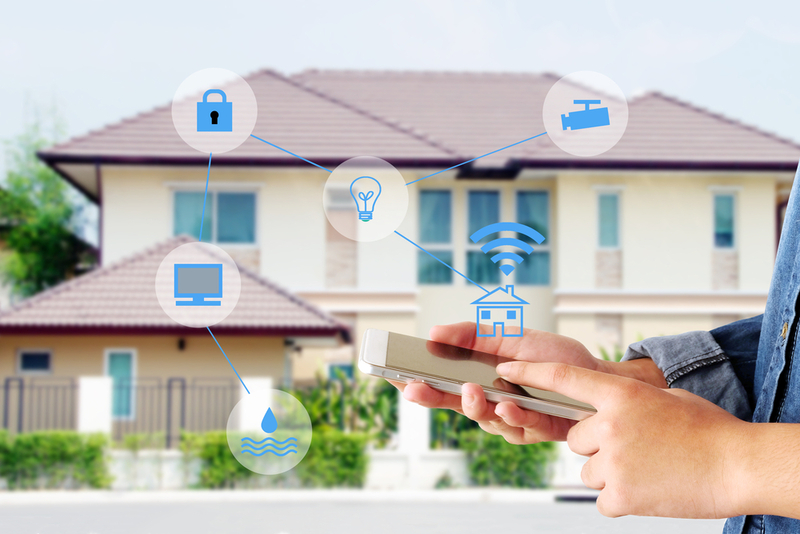 The most standard definition of a smart home is a home which has a range of products that are interconnected through the internet or wi-fi network. This system controls and optimizes the various functions of the house such as the temperature and lighting. Sometimes, the network is controlled remotely through an application on a device such as a phone or a tablet, and sometimes the system is controlled through a dedicated interface. 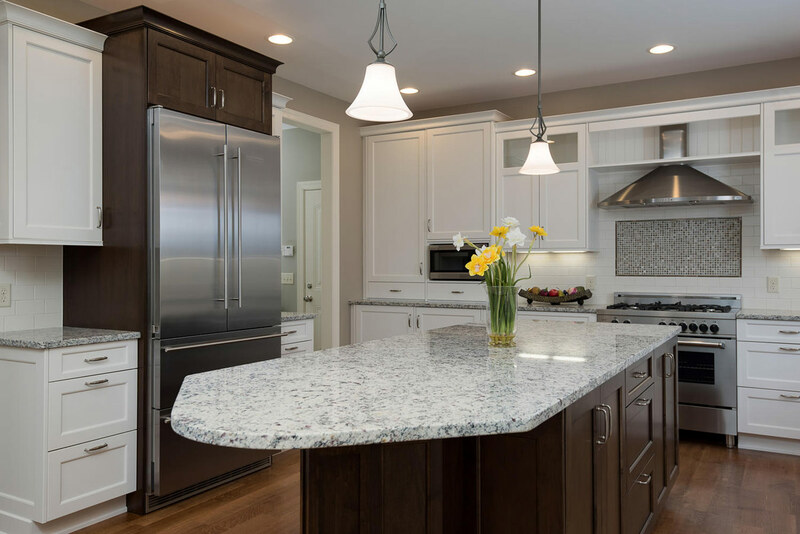 Woodstone Custom Homes of Rochester has some good ideas of how to take advantage of smart home technologies. Ethernet jacks are your wired gateway to the internet. The jacks enable you to plug in an Ethernet cable (Cat5e or Cat6 cable) and connect your devices to the Internet. These jacks can also act as the hub of your smart technologies, pulling together everything in one place. With the internet, you can control different things in your home remotely, such as smart thermostats, smart alarm systems, and prewired surround sound. You won’t have to be stuck at home, using a remote to control these types of systems anymore. With smart technology, you can control all types of complicated systems in your home from devices such as your smartphone, which can be convenient, especially if you are on vacation and don’t trust anyone to manage your home while you’re away. When building a new home you have the benefit of placing hardwire Ethernet jacks how and where you need them in your home. While wi-fi technology is improving greatly a hardwired internet connection still offers faster and more secure access to your network and the internet. We will make sure that your new home is well connected without the need for unsightly wires. 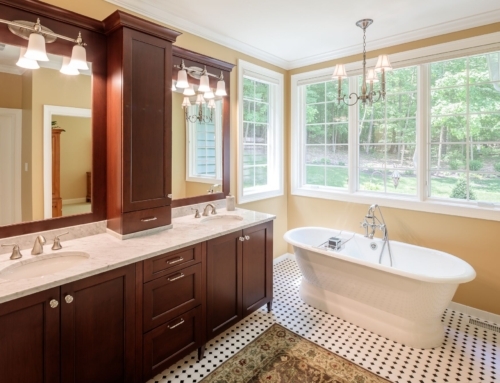 Do you often find it too hot or cold in your home, despite your best efforts to run to the thermostat when needed? Woodstone Custom Homes installs internet enabled smart thermostats in all of our new homes. Smart thermostats can be programmed very simply, so the temperature is always just right in your home. In addition to flexible scheduling and ease of use, the smart thermostat enables you to control the temperature and thermostat functions from anywhere you have access to the internet, including your smart phone or tablet. This can be done if you are out of town and want to adjust the temperature for some energy savings or just from your own bed if you would like to make a temperature adjustment for better comfort. Whether you want to protect yourself, your loved ones, pets, possessions, or all of the above, an alarm system can be the safeguard you need. Although many smart alarm systems come with easy DIY installation, when you have a custom home builder like Woodstone Custom Homes on the scene, a smart alarm system can be installed for you while we build your home. Smart alarm systems are different from traditional alarm systems in that as soon as they detect intruders, you’ll be alerted by phone, plus lights may flash, and your blinds may be opened in order to expose the intruder as much as possible. The alarm will also detect if there is fire or high carbon monoxide and can even monitor for flooding. Smart alarm systems take advantage of the internet and let you get peace of mind while you’re away on vacations and business trips. Even if you have a house sitter or someone dropping by to keep an eye on things, you can activate all security features with a press of a button. You can even set your alarm system to simulate your presence at home, so people outside don’t even know you’re gone. When you are watching TV, the audio journey is just as important as the visual. You deserve to get the full experience when you kick back, relax, and watch your favorite movies and shows. With surround sound, you’ll get complete immersion in the experience. 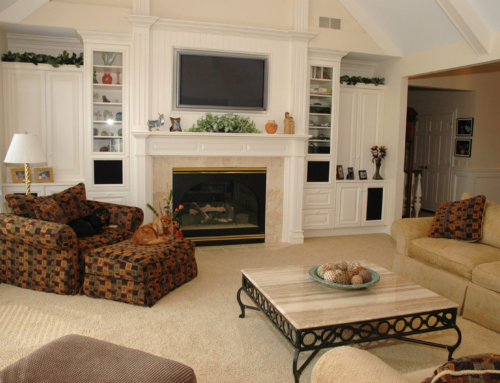 Woodstone Custom Homes can build you a home that has prewired surround sound. With prewiring, all of the connections will be hidden to the speakers and TV so that you can enjoy the benefits of a theater experience without the clutter of messy wires. Prewiring for speakers also allows for in wall or in ceiling speakers that blend seamlessly into the room without any bulky speakers to look at. 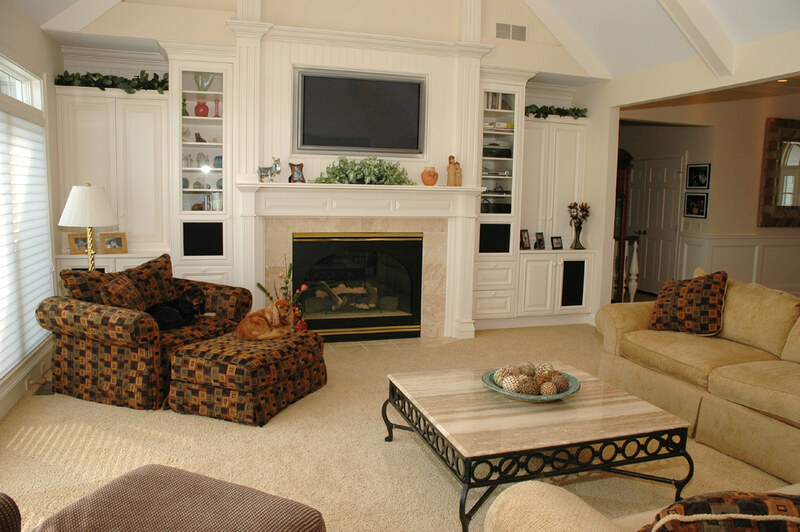 All of the speakers can be connected to one source so that you can enjoy music throughout the house without having to have separate A/V systems in each room. Dining room or kitchen ceiling speakers give beautiful background music for entertaining while remaining almost sight unseen. 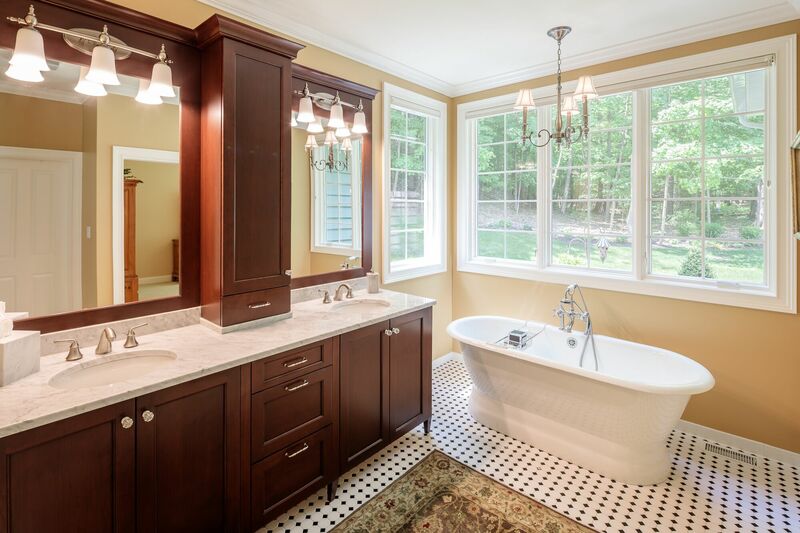 Maybe speakers in the master bath to make the morning routine more enjoyable. All while having complete control at the touch of your finger through your smart phone! 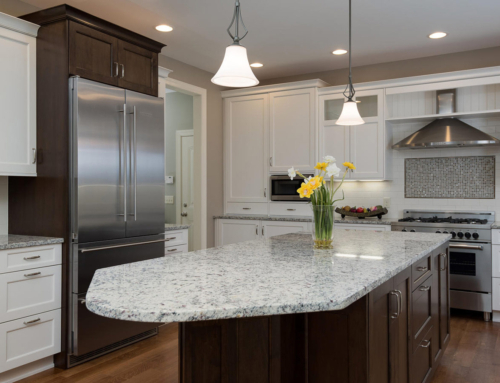 With such advancements in technology and the possibilities that they bring, it makes sense to have smart home technologies in your home when you have it built by Woodstone Custom Homes. Not only can they make your life a lot easier, but they can also bring you peace of mind when you’re not at home while also reducing your energy bills.